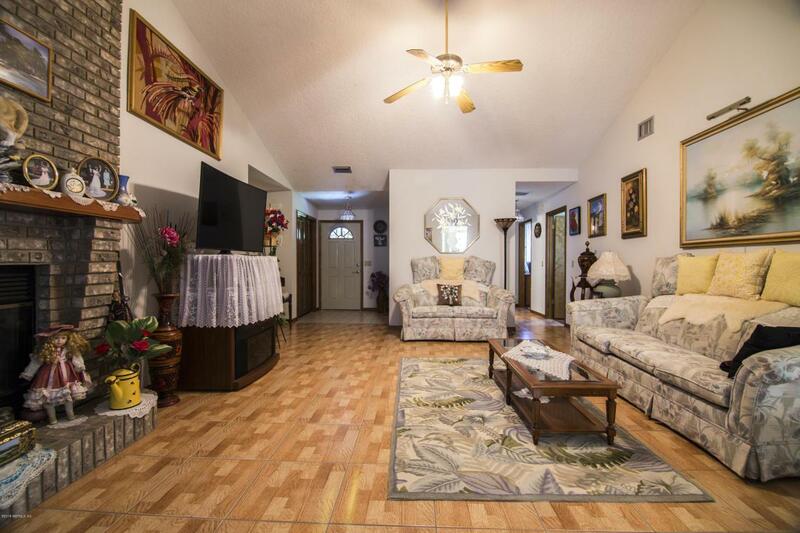 Great family and POOL home, built by the owner! 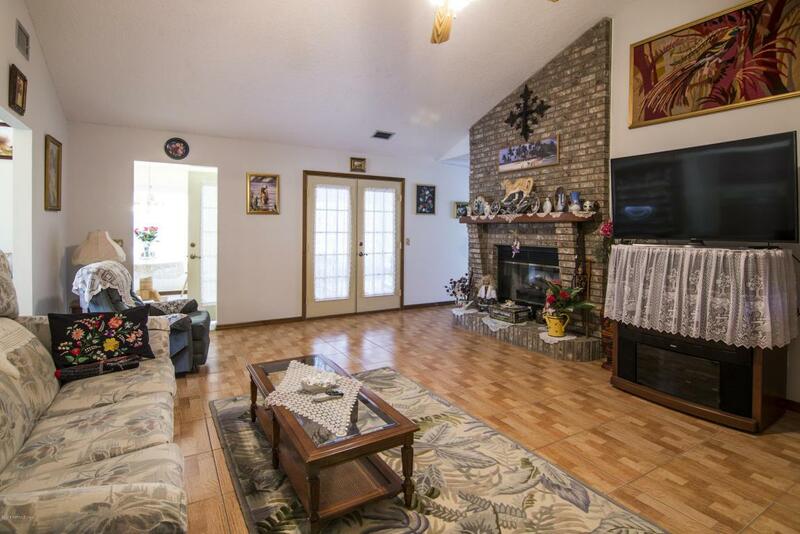 This 3 bdrm, 2 bath all brick home, features a large living room w/ brick fireplace and cathedral ceilings, wood and tile floors throughout , nice kitchen including Granite counters, a breakfast nook and formal dining room. 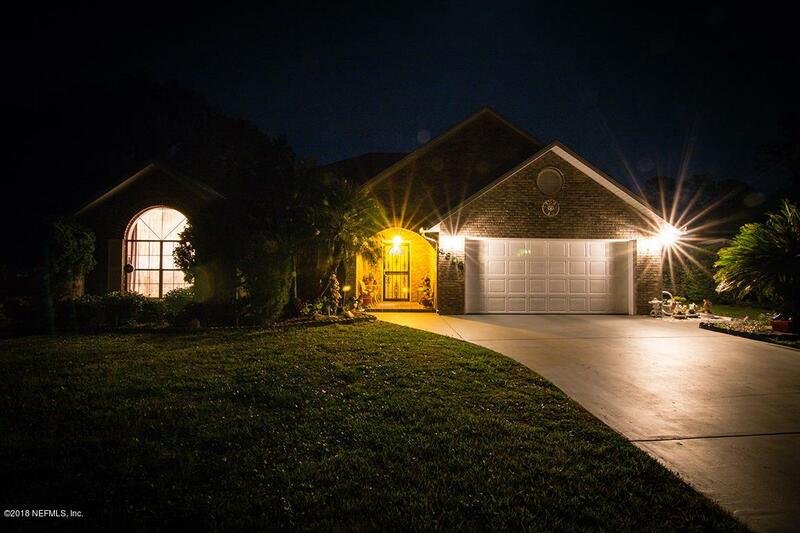 French doors lead to the 13x12 enclosed Florida Room which takes you out to the gorgeous fully screened and enclosed POOL. 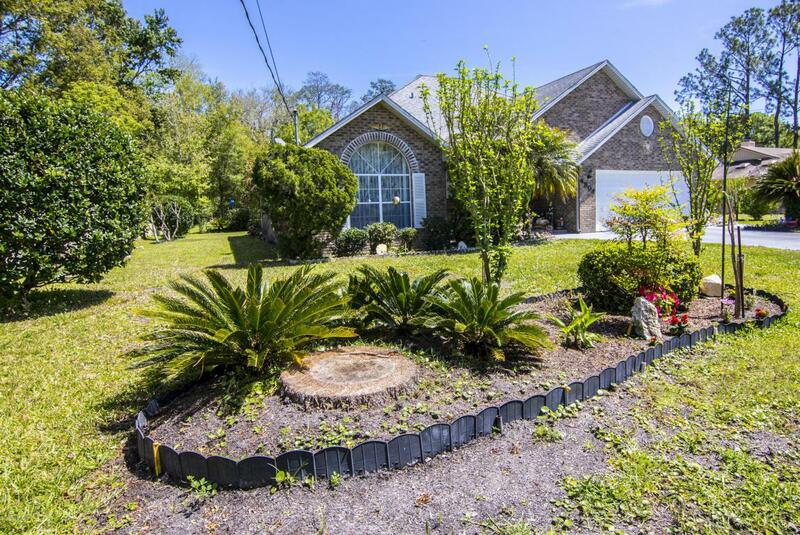 No HOA, almost a 1/2 acre of nicely landscaped yard, includes a Satsuma (orange) Tree and 2 outbuildings.